I have recently noticed the appearance of the scarab motif in both interior and fashion designs. This little creature has a fascinating history dating as far back as 2000 BC. 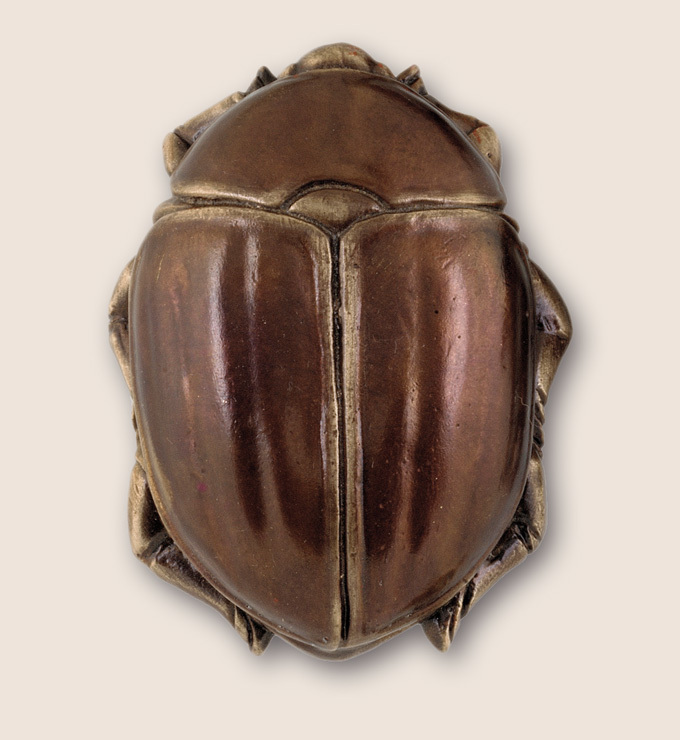 A scarab is actually just a beetle, a dung beetle at that. It began as a religious symbol in ancient Egyptian culture and was thought to represent the early morning or rising sun. It is associated with feelings of development and growth, among other things, and is found in hieroglyphics, amulets and other forms of jewelry, both ancient and new. Large numbers of scarabs were carved from stone or other natural materials and the more valuable ones depict royalty in some form. 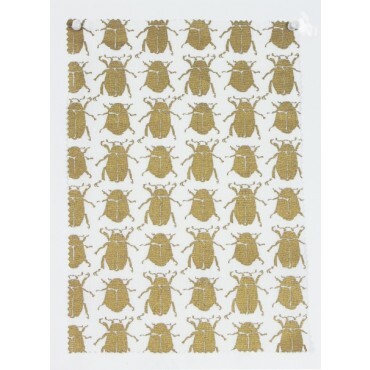 This entry was posted in architectural hardware, custom hardware and tagged architectural hardware, scarab, scarab hardware, scarab motif, scarab motif fabric, scarab motif hardware, scarab motif in design. Bookmark the permalink.